Advertisements placed on some websites make them difficult to read as well as it takes so much time to load as well. 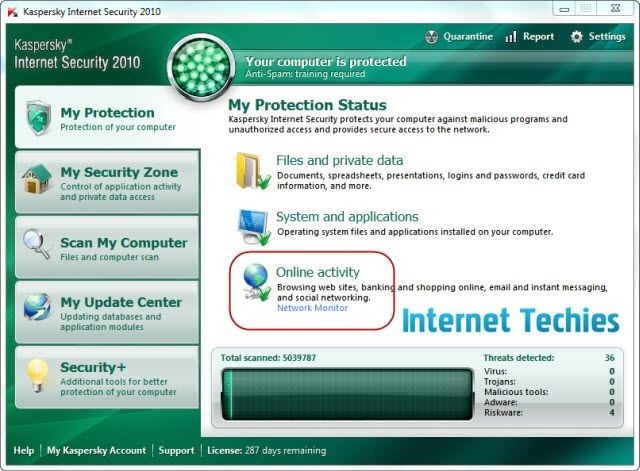 If you are running Kaspersky Internet Security on your computer, you can block ads on browser so that you will get only content of the site. There are many ways to block ads on browser but if you are running Kaspersky, then you can do it with minimal resource utilization. As Kaspersky is already running on your computer and utilizing resources over there, so you should utilize those exhausted resources and block ads and banners thru already running application rather than adding extra application or add on for the same. Other benefit of using Anti-Banner feature if Kaspersky is that you don’t need any browser specific add on to block ads. 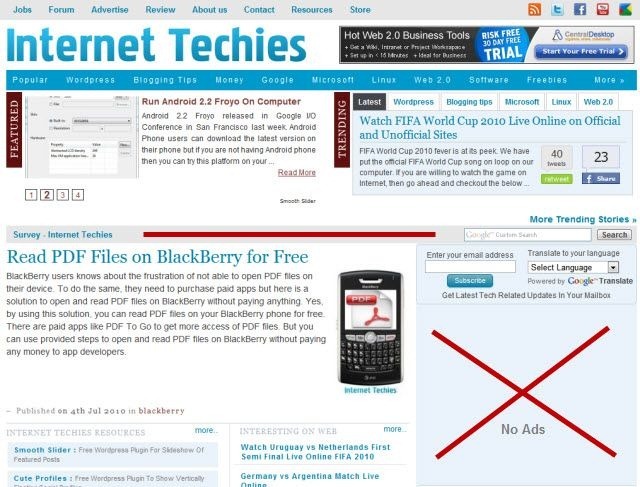 For example, you will have to install AdBlock on Firefox, as well as on Chrome for blocking ads i.e. separate add on for each browser, but in case of Kaspersky, you just need to enable this feature and it will work on every browser on your computer. As a publisher, I should not encourage my visitors to block ads as that is the main source of my income, but as I always write for benefits of my readers, this post for blocking ads is just an example for the same. Like other popular security software e.g. Norton Internet Security, Kaspersky is also having Anti-Banner option to block advertisements on websites and some applications running on computer. Yes, it works on applications as well. 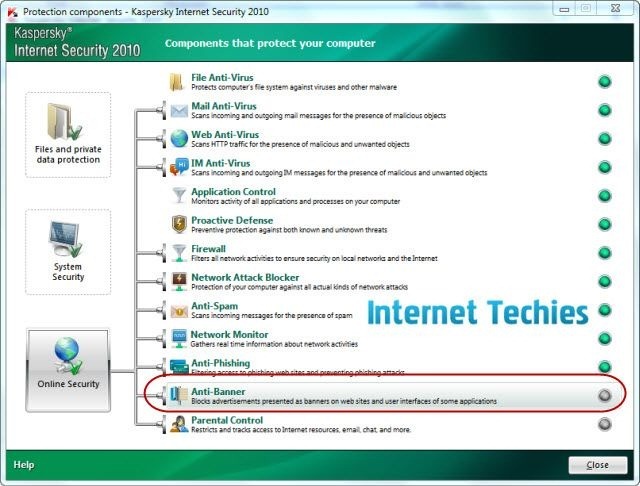 By default, this feature is disabled in Kaspersky Internet Security. To use this feature, you will have to manually enable it from the “Online Activity” tab. Here is the screenshots of Kaspersky Internet Security 2010 where you can see protection components where Anti-Banner is the second last option in the list. If you are already having Kaspersky Internet Security on your computer then go ahead and try this awesome feature to block ads running on your browser.